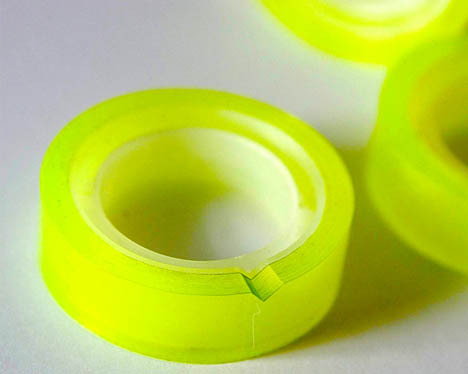 You see the options on every tape stand or shelf at the store: you can buy the simple, no-frills, but hard-to-cut roll of clear plastic tape … or you can double the size to gain access to metal prongs that will cut your tape to whatever length you want. But do you really need all of that infrastructure, or precision for that matter? 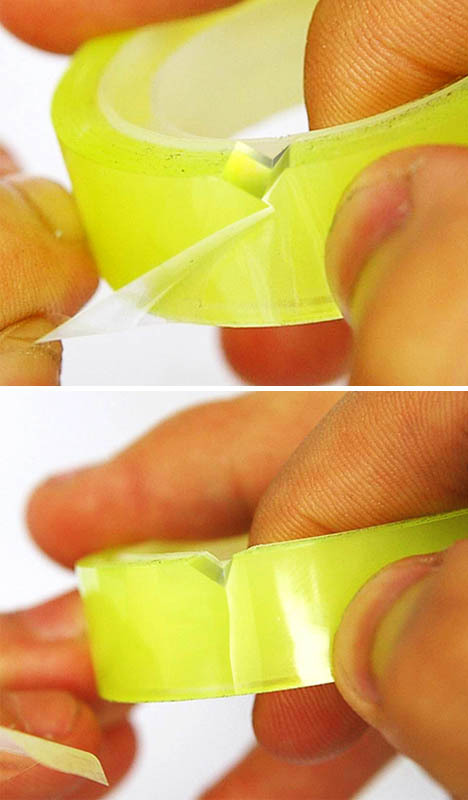 If you are willing to round up or down on a project, this may be the tape roll for you. 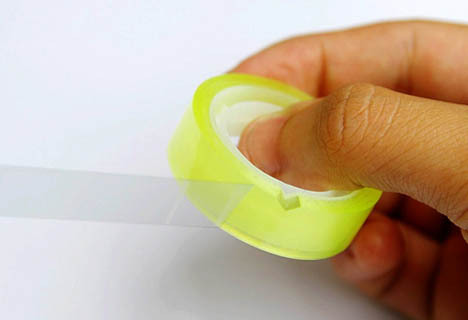 Like the little cut that lets you start opening a product package, the V-shaped nick in this roll lets you stop, turn, twist and tear off the amount you need without scissors or another cutting device. Designed by Zhichuan Tang.